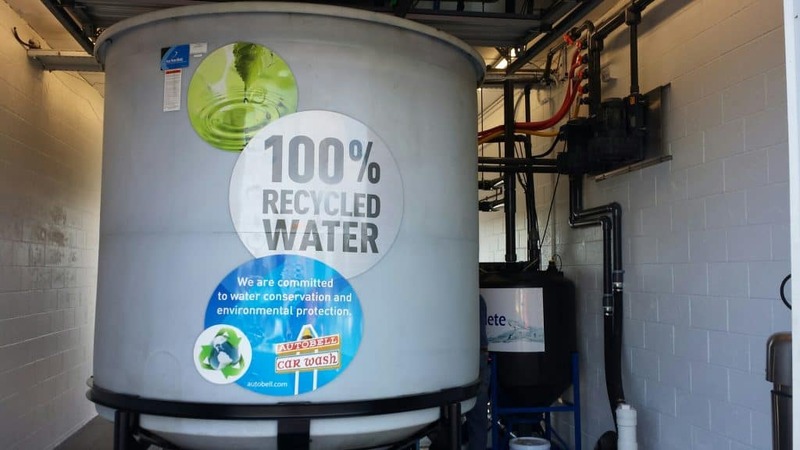 The Bio Complete water restoration system restores used wash water to as near city water quality as is biologically possible. In fact, this system generally produces water that is about 100 TDS over incoming city water. 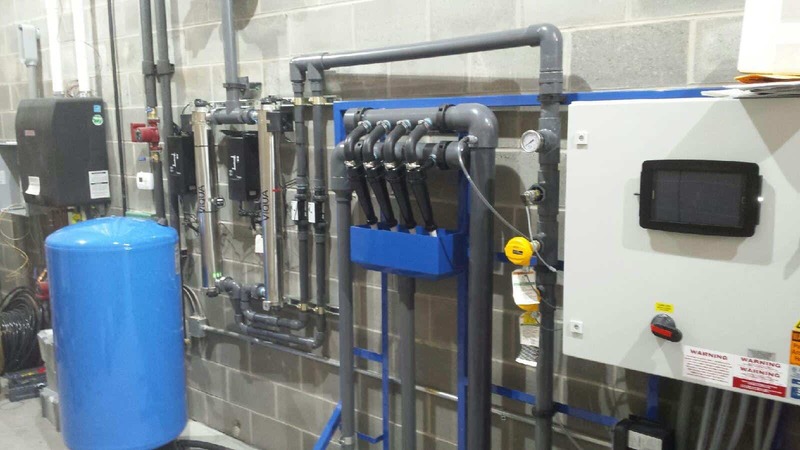 No other treatment system can produce water as clean as the Bio Complete system. 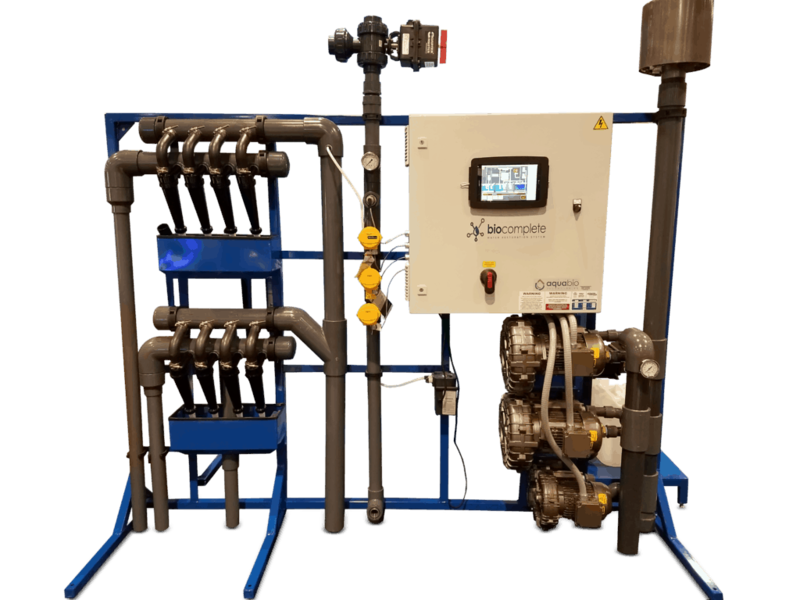 This system works similar to our Pro-Limited system, but adds an additional cleaning step during which the water is sent through a biological treatment chamber where natural, active bacteria consume chemicals in the water. 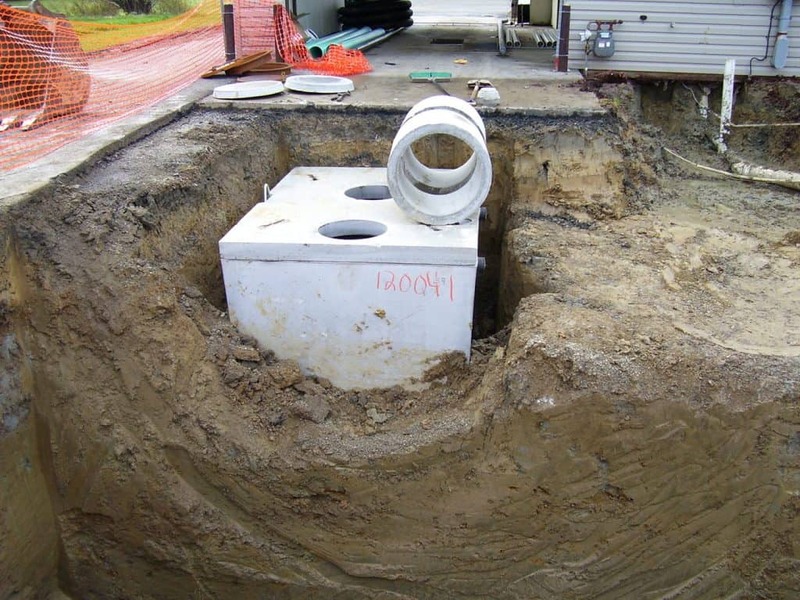 A Bio Complete water restoration system will produce water that can be used in 90 to 95 percent of the wash.
-After the largest solids have settled out in standard settling tanks, the waste water enters the aeration chamber. In this chamber, air is infused in the water to not only emulsify the chemicals, but also to begin the transformation of the natural bacteria from an anaerobic to aerobic state. -From the aeration chamber the water is pumped through the hydro cyclones which separate out any remaining solids larger than 5 micron. -After cyclonic treatment, the water is pumped into the bio chamber. In this chamber, the aerobic bacteria attach to the bio media which fills the bio chamber. This allows the water containing the used vehicle wash chemicals to come in direct contact with the bacteria. This natural consumption of chemicals produces byproducts of CO2 and H2O, which are non-hazardous and odorless. -The water then enters the clarification chamber where the bio sludge from the bio chamber settles and is pumped to the sewer once a day. -After the clarification chamber, the water gravity overflows into the clean water tank where it is stored for reuse. The water in the Bio Pro-Complete system continuously circulates so that the bacteria remains in an aerobic state. When the water isn’t needed, the system switches to energy-saving mode, which reduces power consumption by 75 percent. Standard sizes: 3,000, 4,000, 6,000, 10,000, and 20,000 gallons per hour. However, the Bio Complete system can be custom built to any capacity. 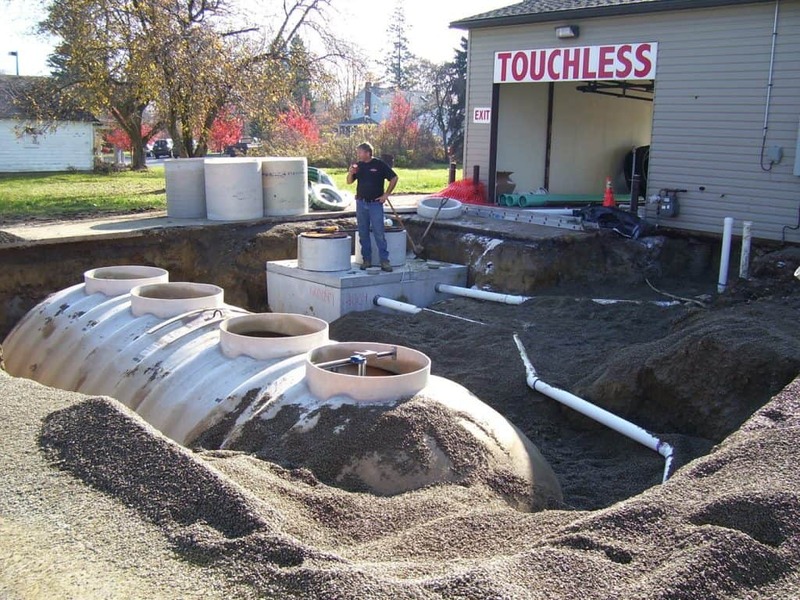 The Bio Complete can be installed and configured ABOVE GROUND where space is available or BELOW GROUND in either concrete or fiberglass tanks.